Lunch Drive Dural to Magenta Shores. Lunch Bookings Closed, Drive remain open. Starting point Bunning's Dural 248/252 New Line Rd, Dural NSW 2158. 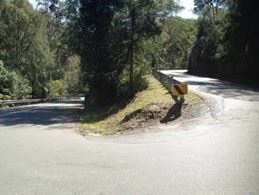 Starting at Bunnings, Dural, we will drive through Galston Gorge. This exciting narrow stretch of road has 5 hairpin turns which will make our drive very exciting. From there we will continue to Peats Ridge for our coffee / comfort stop. Via the Yarramalong Valley we will proceed to the coveted award winning Magenta Shores Resort to enjoy the ambiance and luxurious surroundings the resort has on offer. In a private function room you will be treated to a delicious abundant buffet lunch. For those that wish to take the opportunity stay the Sunday night and take advantage of the various accommodation options complimented by a world class golf course.